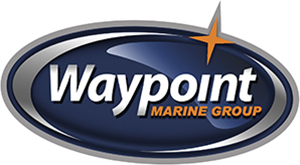 Waypoint Marine Group has a wide selection of ZAR 43 Boats in Seattle and Surroundings regions. It is the “little one” of the family. But maybe the most amazing one. ZAR 43 is 4.30 meters long and 2.16 meters wide; it offers liveability, safety, comfort and performances that are hard to see in a traditional 5.5-meter long rubber dinghy. Even if mathematicians don’t like it (but as you well know sometimes math can be an opinion), it has been able to show that 4.50 can be equal to 5.50. Absolutely safe and comfortable transportation of 7 persons, with huge peaks, it can bear a 90 HP and it sails fast and slender like a squirrel with a motor “without a licence”. It has two separate sun bathing beds (the front one is almost as big as a double bed), it has a fuel capacity of about 100 litres and a water capacity of about 60 litres without taking away any passenger space. Just like its bigger brothers, it has tubulars with 6 compartments and it can be provided with a roll bar, shower, awnings and tents for nautical camping. ZAR 43 does not have any competitor simply because it is a ZAR, a little gigantic ZAR.